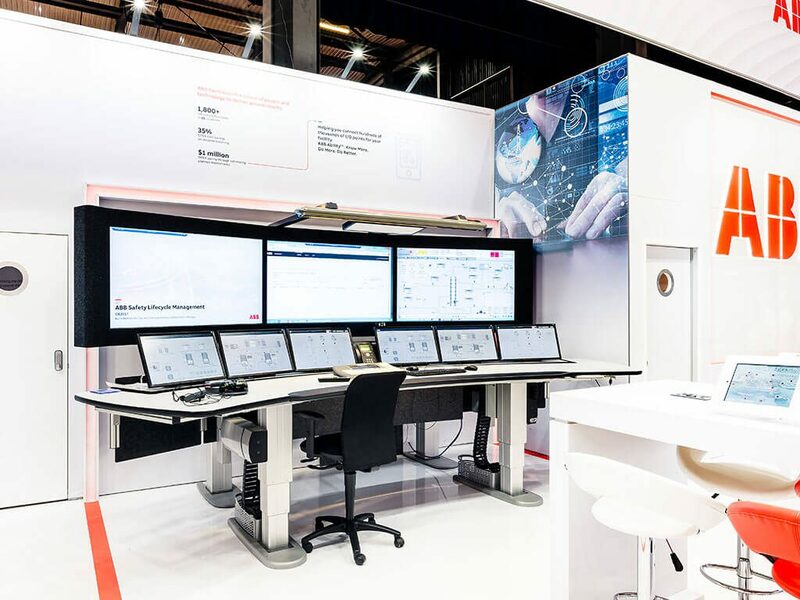 Following a re-brand, it was important for ABB, a pioneering technology leader in multiple industries for over four decades, to uphold their position at the forefront of industrial digitalization. 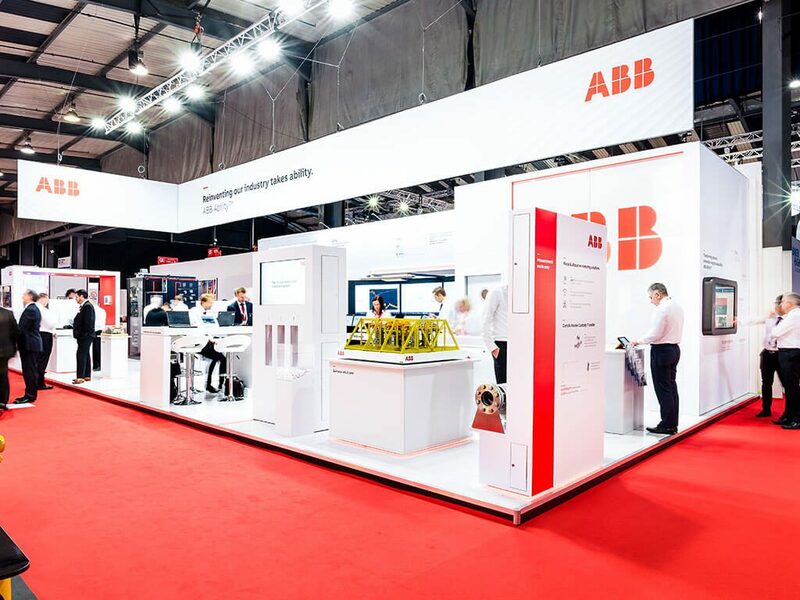 Exhibiting at Offshore Europe – a well-established event serving the oil and gas industry – ABB required a stand that would proclaim their new image, engaging and educating visitors and also promoting products covering their Electrification, Robotics, Automation and Power Grid divisions. 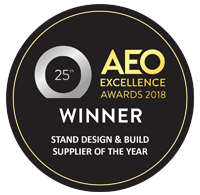 Due to the large investment associated with a stand space of 115m2 it was paramount for ABB to investigate cost-effective modular architecture that could be deployed at future shows. 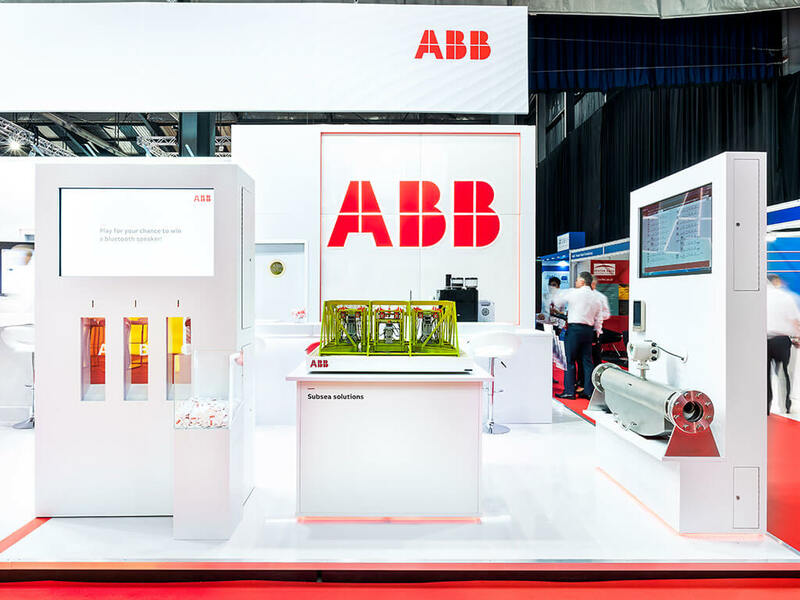 A large, vibrant, contemporary stand using bespoke hire architecture enabled ABB to redeploy smaller versions at future events; significantly minimising any purchase costs. A 15m rigged banner signposted ABB’s presence to visitors, was visible across the exhibition hall and ensured the new logo was visible. Bespoke plinths catered for the display of 3D products and ABB’s cutting-edge technology. AV screens, including a huge 110 inch screen formation, relayed live product demonstrations. 2 touch-screen kiosks hosted ABB’s media library which was emailed in real time and kept the stand clear of clutter. An interactive touchscreen presentation explained ABB’s core messaging as well as a virtual reality booth which guided participants through a 10 minute experience of ABB’s heritage. To engage and educate, a ‘phygital’ coin-slot survey questioned visitors on a range of industry-specific questions. Branded coins were inserted into slots corresponding to chosen answers. Participant data was captured and digital results were illustrated in real-time, enabling staff to facilitate meaningful conversations. In comparison to ABB’s 2015 attendance at Offshore Europe, the attendee to stand footfall ratio doubled. 578 people participated in the coin-slot survey and in doing so, were educated about the future of industrial digitalisation. ABB reported that stand staff as well as stand visitors enjoyed the interactive coin-slot survey. As a result of the ABB staff being engaged, they found it far easier to break the ice and hold meaningful conversations with their visitors. 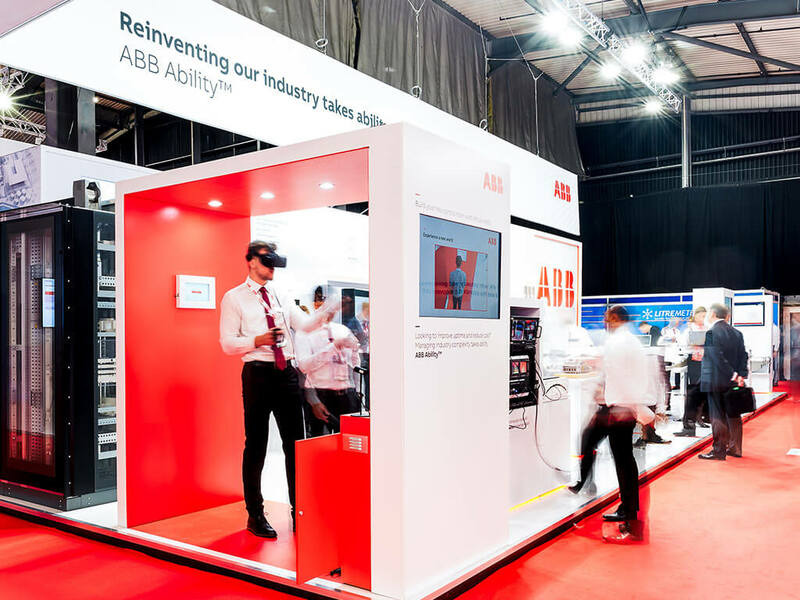 As a result of the engagement tools, ABB were provided with over 14 hours of immersive brand engagement. ABB’s goal of continuing their legacy as thought leaders within their industry was achieved.